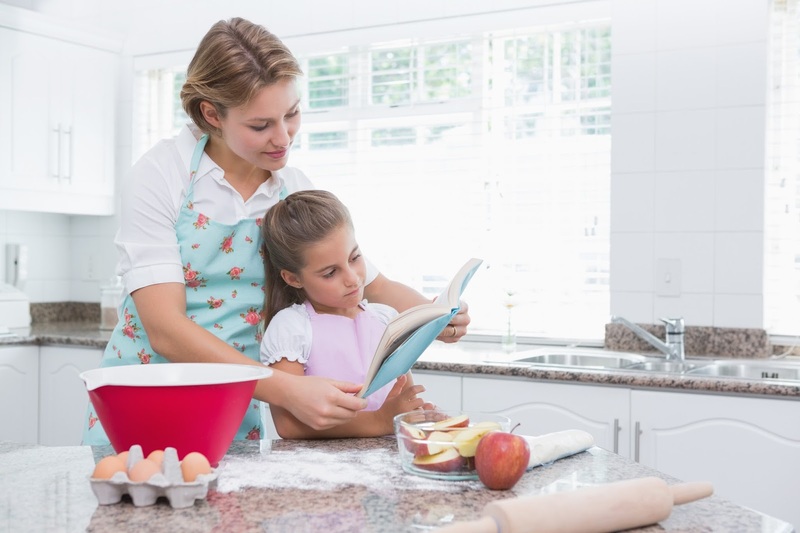 Cooking with your kids can be a delicious learning experience — for all of you! 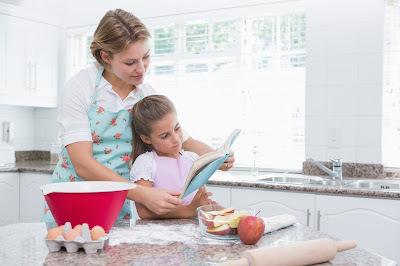 Encouraging literacy skill development as you cook together is easy when you allow it to flow naturally from what you're doing. So, rustle up your favorite kid-friendly recipes and give these simple ideas a try. Before you begin, name the items you'll need with your child. Independent writers can jot down a list for you and you can entice pre-readers with a paper and a pen, just like the ones you are using. Sit beside your little one as you write your shopping list, saying aloud what you are writing as you add each item to the list. Your child will be sure to imitate you and will learn an important purpose of writing in the process. Younger kids also enjoy ticking off the items from the list once you’re at the store. Sometimes when cooking together, I’ll ask my daughters if they're brave enough for a blind taste test. To play, simply ask your child to cover her eyes and open her mouth. Then, offer a small taste of one of the ingredients you're cooking with and invite her to guess which it is. It’s a great way to get your kids talking about different categories of foods (spices, fruit, dairy product, etc. ), as well as textures (smooth, lumpy, crunchy, etc.) and flavors (sweet, spicy, sour, salty, etc.) and it provides a physical connection between the senses and the descriptive words used. While the jelly sets or your cake bakes, why not sit together and enjoy a story related to food or the dish you are cooking? Here are nine great foodie stories that might just inspire your next cooking-with-kids session. You heard the travelers’ tales, you followed the maps, and now, you’ve finally located the dungeon containing a stash of ancient coins. The good news: the wizard who owns the castle has generously agreed to let you have the coins. The bad news: he’s not quite as generous about letting you leave the dungeon ... unless you solve his puzzle. Can you solve it and get out alive? Lisa Winer shows how. A fun visual explanation of how important parent involvement is in children's education! 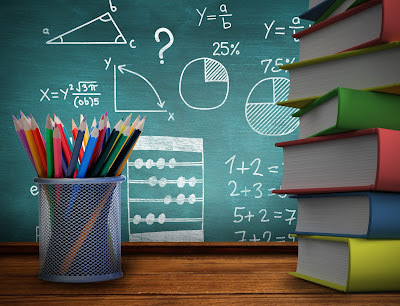 These suggestions will help you and your children set attainable math goals for the New Year. Are you in a goal-setting frame of mind? The New Year is a great time to have your child evaluate herself and her school year and set goals for a fresh start. Ask your child: How is her homework routine? Is she practicing math facts nightly or weekly? Does she have good study habits in place? These are questions every child should think about and ask to gain more responsibility and independence. And this time of year is the best time to do it! If you're looking to use the New Year as an opportunity to set math-focused goals, here are some area to focus on. 1. Set goals together and make them visible. Setting goals for the remainder of the school year shouldn't feel like a chore. Look for creative ways for your child to share goals: He can create a poster, write goals on colored index cards, type on the computer in fun colors/fonts, or even develop a PowerPoint presentation (complete with animation effects!). Make it easy for your child to remember the goals by placing them where he can easily read them. 2. Spend some time thinking about homework. This point in the school year can be a moment of change for after-school responsibilities and activities. That makes it the perfect moment to review your child's homework routine and schedule and make adjustments as necessary. Are assignments being turned in on-time? Are homework corrections being made either in school or at home? Consider cleaning out and reorganizing the homework folder. Does the order in which homework is being completed need to change? 3. Make time to review math facts. By mastering math facts, your child will be able to seamlessly know that 3+5 = 8 without having to do the addition. This bone-deep knowledge of math is essential for all four operations: addition, subtraction, multiplication, and division. Often, reviewing basic math facts, like the times tables, falls to the wayside as the school year progresses, but it's extremely valuable and should be incorporated into daily or weekly routines. If your child is sick of flashcards or other memorization techniques, try switching it up. There are great apps or websites to practice math facts. You can play math games with cards or dice. Even "beat the clock" can be fun, when kids try to complete facts faster than you can do them on a calculator. 4. Instill good study habits. Most teachers give a few days' notice for quizzes and tests. Your child should see this time between when the test is announced and when it takes place as a preparation period and begin to implement strong study techniques. Have your child review old exams and quizzes to evaluate common mistakes and understand why answers were incorrect. 5. Focus strongly on problem solving when setting goals. Word problems are an area in mathematics that most students need to improve on. Many can solve the problem, but have a difficult time explaining and showing reason for how they solved it. 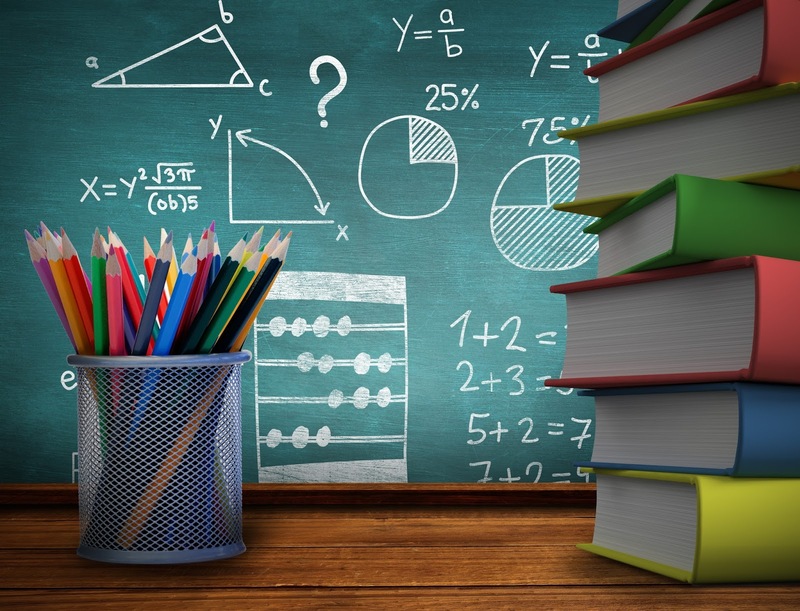 Incorporating math vocabulary is a great way to increase problem-solving skills. Consider setting a goal that's age-appropriate, where children have to use one to three math vocabulary words in the problem solving explanations. Whatever goals you and your child set for the New Year, remember to keep them attainable and within reason. The focus should not be on getting perfect test scores or being the fastest, but more about making small improvements that will have a lasting effect on your child's math knowledge. Lesson by Emma Bryce, animation by Cabong Studios. Make learning fun for your child, it’s the quickest path to academic success. Put simply, kids will work tirelessly if the work is gratifying — that is, if it's fun! That doesn't mean all play and little work leads to academic success; far from it. What it does mean is that each child's own perspective about what is fun or interesting (and not fraught with stress) has a direct effect on how hard she is likely to work at assigned tasks. There is little challenge to teachers, parents, and education policymakers from children who just plain love it all, love to read, love to write, love math, love to please. But for those children who are not meeting expectations in the core subjects, the current prescription — to narrow the curriculum and focus exclusively on reading and math — may be the turnoff of all turnoffs. Doing more and more drills, spending all day every day doing stuff that is dull at best, is not the way to improve achievement. It follows, then, that our challenge with kids who are not achieving is to find the hook — the point of passionate interest that will draw them in. This means that we should not be narrowing school subject matter for poor achievers. In fact, we probably should be doing the opposite. Our most talented teachers have long known this. They wait and watch for the hook to bring an unsuccessful student into the fold. Maybe a child's favorite activity is fishing with Grandpa, something his teacher discovers in time spent listening to and getting to know him. Then why not find books at his reading level about fishing? Why not translate math problems into challenges about whether a fish meets the legal size requirement? Teachers' best clues to the hook for each child are likely to emerge during "specials" or social studies, maybe even in a shop class or during an assembly of guest musicians or jugglers. Field trips of all sorts are rich with opportunities to find those hooks. Above all, adults need to find something that each child can feel successful at, sometimes a classroom job that may involve some easily accomplished reading or math. But don't cut out history for the 3rd grader who is fascinated by the Second World War. Don't rob the artistically inclined child of a lesson in mural-making or a trip to a children's art museum. Bring hands-on gardening into a science unit that might incidentally also involve both math and reading. Whether or not the basic subjects are involved, being able to pursue genuine interests can rejuvenate kids to do the less exciting work that they still must master. As a parent, you can be an enormous help by encouraging your child's interests and talents. Acknowledge them, admire them, and discuss them with teachers. Who knows your child's particular passions better than you? So don't hold back, thinking that a fascination with horses or submarines is not a worthy subject for school. It is the "flow" experienced in pursuing those interests that hooks kids on learning for life. Reduce stress with these simple, time-saving, mood-lifting strategies. 1. Start your day the night before. Prepare snacks and clothes and solidify the next day's plan at night. Fill your child's backpack with the things that he may need for school or for an after-school play date. 2. Wake up earlier. Give yourself and your child extra time in the morning — even 15 minutes will help. Try using an alarm clock that plays soothing nature sounds or happy music to make wake-up time more fun. 3. Send only teacher-approved items to school. Talk to your child's teacher about classroom rules before sending in anything. Most teachers do not want children bringing in valuable items or toys that encourage aggressive play, but will likely encourage a favorite book or photograph. 4. Create a special drop-off ritual. Come up with a memorable, loving way to say goodbye — a lipstick kiss on the hand, a secret handshake, or a special phrase that you create with your child. 5. Set aside after-school downtime. Some children experience a meltdown at the end of the day. To avoid this, try to build in some time to unwind after school. Allow your child to visit the playground, spend time alone curled up with a book, or engage in quiet activities such as painting, building with blocks, or solitary imaginative play. 6. Make dinnertime family time. Whenever possible, eat together as a family. Kids benefit from spontaneous dinner-table conversations. Ask your child to tell you about his day and share interesting things that happened to you. He will feel more "grown up" when he is included in this sort of conversation. 7. Follow the school's rules. Teachers count on families to support the classroom rules and routines — such as sick-child policies, authorized escorts, and arriving on time. 8. Give your child undivided attention. Set aside time each day just to be with your child — even if it's just 20 minutes — and allow no interruptions. Follow his lead and take time to observe his interests and enter his world. You will learn a lot about your child, and he will be thrilled to have this time with you.